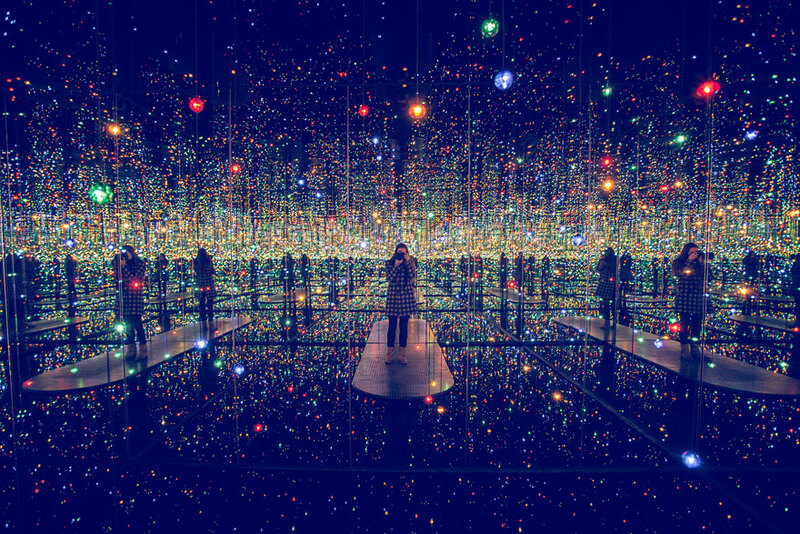 Eccentric Japanese artist Yayoi Kusama’s intriguing art installation at the David Zwirner gallery in New York tussles with a tough concept that most of us have a difficult time wrapping our heads around – infinity. 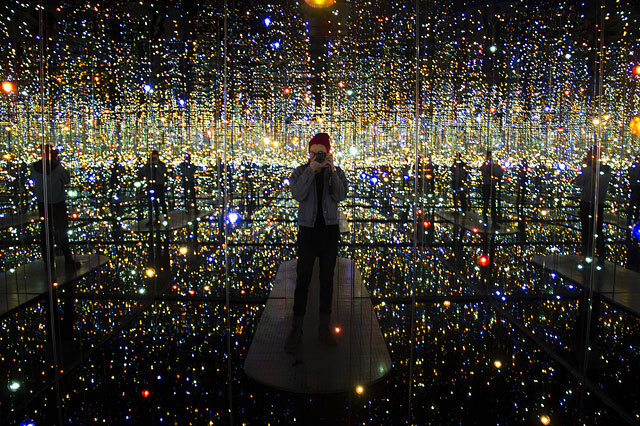 Her “I Who Have Arrived In Heaven” installation features infinity rooms that let visitors take a step into an enchanting and endless space. 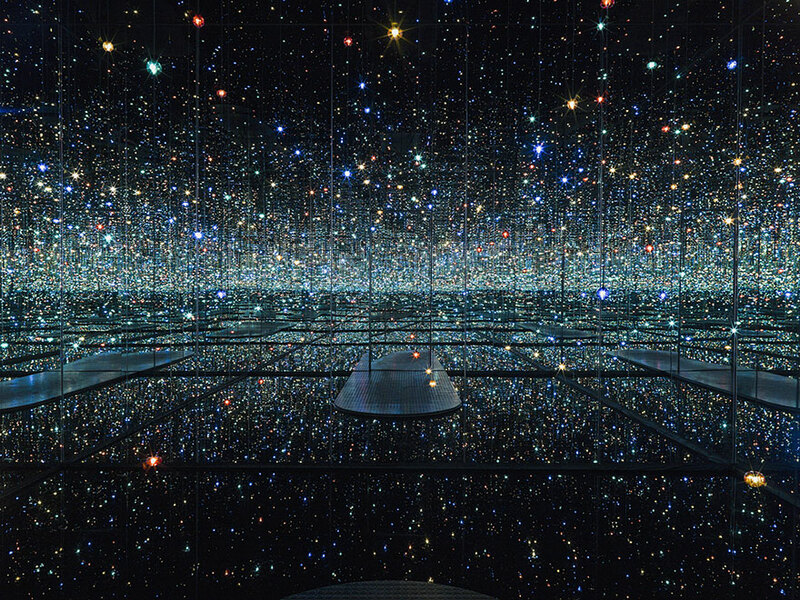 The installation’s mirror room, “Souls of Millions of Light Years Away,” is brilliantly simple – it’s a room in which the walls, the floor and the ceiling are mirrors. 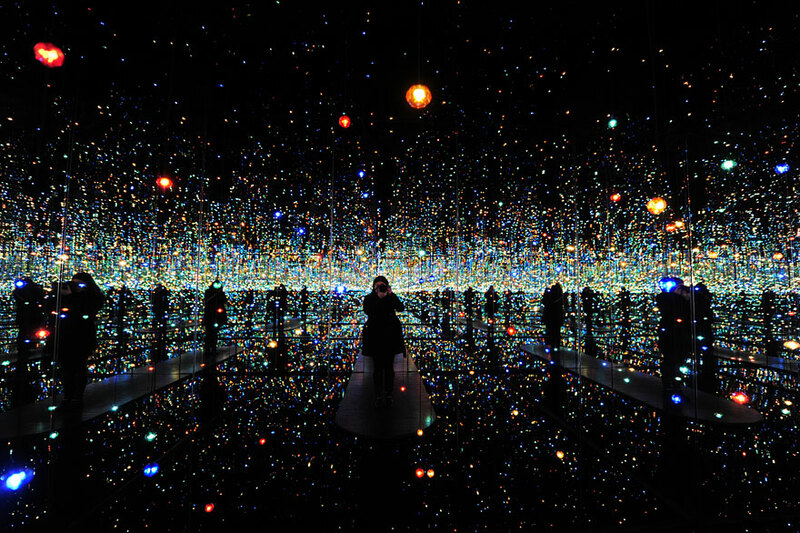 This seemingly infinite space is populated by hanging, blinking LEDs, which make the space seem like a galaxy or a nebula. The fascinating experience it offers has made it very popular, generating long lines at the Zwirner gallery and tons of trippy, cosmic selfies on Flickr. 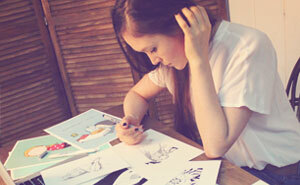 The installation will be on display until Dec. 21st, 2013. Kusama is a wildly creative and imaginative artist, so it’s no surprise that her work is so popular. She’s created a wide array of great creative installations, including one where visitors and their children were tasked with covering a white room with polka dots. However, mirrored rooms seem to be a recurring favorite, as she has been installing them in various galleries (always with different disorienting interior decorations) since the 90s.